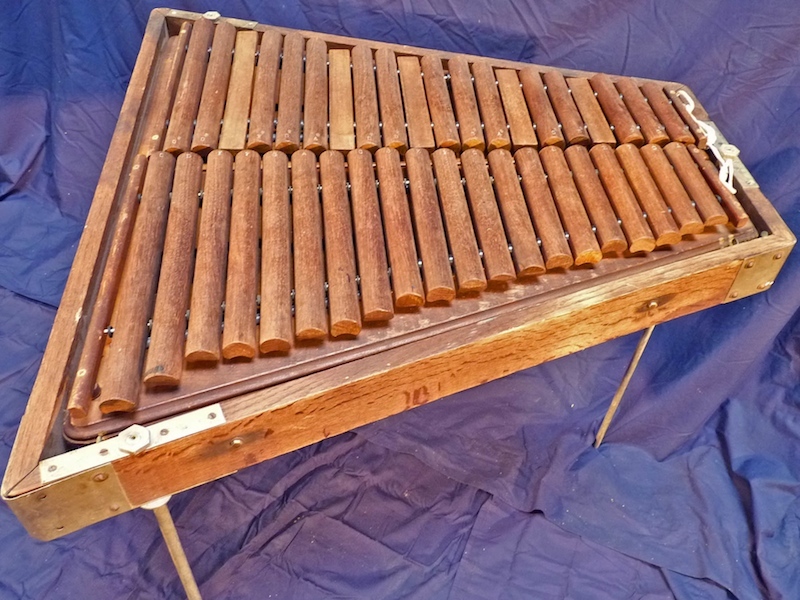 Lee's Boston Drum Builders Blog: The Harry A. Bower "Dowelaphone"
The Harry A. Bower "Dowelaphone"
I was recently pointed by a fellow vintage instrument enthusiast to an unusual Harry A. Bower mallet instrument in the collection of Los Angeles Percussion Rentals. Not unlike Bower's snare drums, this instrument looks to be unusual bordering on bizarre. Most if not all of Bower's instruments serve as little more than evolutionary oddities to us today. But apparently you can rent this one and play it if you really want to! Playing this "Dowelaphone" (or Dowel-A-Phone, or Dowel Xylophone) would appear to present some interesting challenges. The rounded over keys would make for awkward mallet ricochets, and the wooden slats placed between the accidentals could easily lead to disorientation when moving across the instrument. Having studied so many of Bower's patent applications, there was undoubtedly a great deal of thought put into its design. How much of that translates into a practical instrument for performance purposes? Perhaps the ultimate answer lies in how little resemblance any modern keyboard instrument shows a resemblance to the Bower "Dowelaphone"!